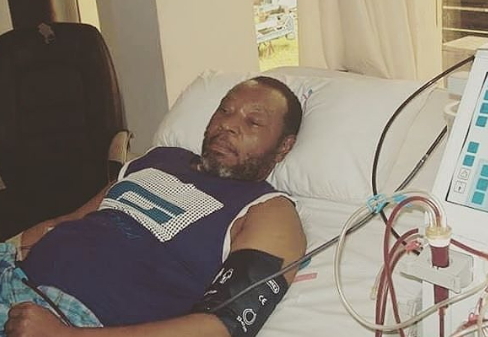 When Nollywood actor Prince James Uche took ill, his family and colleagues formed a group tagged “Save Prince James Uche” in order to raise the fund needed for his treatment. Sadly, he gave up the ghost in the midst of the fundraising. Shortly after his death, Zenith Bank was said to have placed a hold on his bank account and asked his family members to provide necessary documents to get the account unfrozen. As requested, his family members quickly gathered all the documents Zenith Bank requested for only for the bank to keep them waiting endlessly. Due to the action of Zenith Bank, Prince Uche’s cash-strapped family members are now unable to prepare for his burial. The burial for the actor who died of blindness, diabetes, kidney disease and high blood pressure on the 8th of March has been put on hold until Zenith Bank releases his money. His family has hired a lawyer to take up the case so as to speed up his burial arrangement.